Panasonic has unveiled a pair of water-, shock-, dust-, and freeze-proof compacts, the DMC-TS6 (DMC-FT6) and DMC-TS30 (DMC-FT30). The TS6 features a 16.1MP CMOS sensor, Venus Engine image processor, a 4.6x optical zoom Leica lens, Full HD 1080/60p video recording function, built-in GPS/Wi-Fi/NFC, and an array of special effects. The camera can withstand freezing temperatures down to 14 degrees F; it is waterproof to 43 ft, shockproof to 6.6 ft, and pressure-resistant up to 220 lbf. The TS6 will be available for $299.99 in four body colors, blue, red, orange, and camouflage. The TS30's main features include a 16.1MP CCD sensor, a 4x zoom Lumix DC Vario lens, a 2.7" LCD, and 720p video. The camera is waterproof to 26 ft, shockproof to 4.9 ft, freezeproof to 14 degrees F and dustproof. The TS30 will come in three body colors, black, red, and blue, and can be yours for $179.99. For the full list of compatible accessories, please see Panasonic Lumix TS6 accessories. 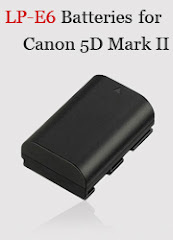 For the full list of compatible accessories, please see Panasonic Lumix TS30 accessories. 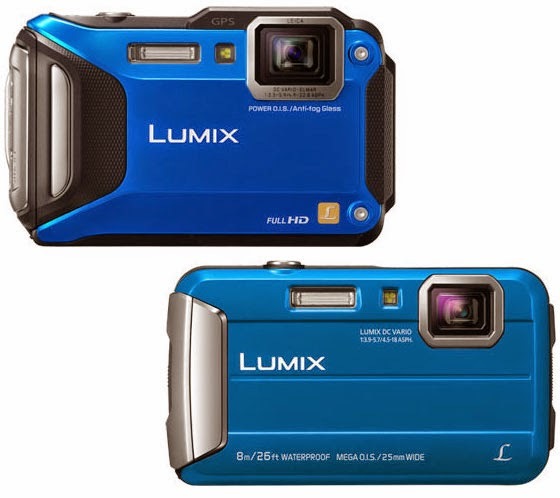 LAS VEGAS, NV (January 5, 2015)– Panasonic is introducing two new rugged cameras to its waterproof, freeze-proof, shockproof and dustproof tough camera range, the LUMIX TS6 and TS30. Designed and built with adventurous personalities in mind, the LUMIX tough cameras provide stunning picture quality and exceptional performance and endurance, even in the toughest conditions. Panasonic is introducing a new 16.1-megapixel LUMIX DMC-TS6 (TS6) with 28mm wide angle 4.6x optical zoom LEICA lens(35mm equivalent: 28-128mm) to its rugged design TS series exclusively geared for outdoor use. Featuring 1920x1080 60p full HD video recording capability, the new TS6 empowers its toughness with waterproof performance to 43 ft, / 220 lbf pressure resistance, Wi-Fi® connectivity with NFC(Near Field Communication) technology, and a variety of shooting options to be an ultimate multi-capable camera. The high durability of being waterproof to 43 ft, dustproof, shockproof to 6.6 ft, freeze-proof to 14 degrees F and pressure resistance to 220 lbf protects the camera under use of almost any severe conditions. The TS6 is equipped with built-in GPS(Global Positioning System) and complies with GLONASS(Global Navigation Satellite System) for high accuracy. In addition, the TS6 has a compass, altimeter and barometer for users who enjoy active outdoor adventures. A newly integrated 16.1-megapixel High Sensitivity MOS sensor is adopted and the advanced image processor Venus Engine feature high speed, high sensitivity image recording to realize 1,920 x 1,080 60p astonishingly smooth full-HD video recording in AVCHD Progressive format and high speed burst shooting at 10 fps** with high picture quality. It also contributes to the Light Speed AF to catch the most fleeting shooting opportunities. With the Wi-Fi® connectivity with NFC (Near Field Communication) technology, users can connect the camera to their smartphone/tablet anywhere at one-touch without a need of cabling or searching a Wi-Fi® hotspot. In addition, users can utilize smartphone/tablet for another monitor of camera that enables setting focus, zooming or releasing the shutter away from the spot where the camera is positioned. It is also possible to record video watching the motion image live on a smartphone/tablet. With the Instant Transfer function, photos are automatically be sent to the designated electronic devices such as smartphones/tablets or tablet right after shooting. A variety of special effects that add fun to the shooting experience are integrated in the TS6 – Creative Panorama, Creative Control, Creative Retouch, and Time Lapse Shot. For beginners, LUMIX’s popular shooting assist function iA (Intelligent Auto) mode helps to shoot beautiful photo/video without a mistake. The Advanced Underwater Mode features Red Color Reproduction to reproduce original natural color of subjects and Torch Light function allows the camera to serve as a light with its built-in LED. Ruggedly-built, the LUMIX TS30 is the ideal companion for capturing those once-in-a-lifetime moments on your travels – from snorkeling with dolphins, to trekking in the desert, to ascending a mountain in sub-zero temperatures. The LUMIX TS30 has been designed and built to be the ultimate tough camera, whatever conditions you find yourself in. Waterproof to 26 feet, shock-proof to 5 feet, freeze-proof to 14F and dust-proof, the LUMIX TS30 will be your ideal photographic companion whether you’re camping, diving, surfing, mountain climbing or skiing. The LUMIX TS30 also boasts stunning picture quality giving you incredible results, no matter where your adventures take you. The camera features a high-quality LUMIX DC VARIO lens with 4x optical zoom from 25mm ultra wide angle. For divers and snorkelers, the red color reproduction of the Advanced Underwater mode compensates for the red hue which is easily lost in underwater shooting and a new Torch Light function illuminates subjects further in dark underwater conditions enabling users to record beautiful videos. The LUMIX TS30 is also equipped with a range of manual and automatic modes to help you realise the most creative shots, regardless of the conditions and the model sports a 2.7 inch LCD to provide the most flexible shooting options. For beginners, or for when there’s not enough time to set-up the perfect shot, the LUMIX TS30 also boasts a range of automatic functions to support you. With the Creative Panorama function you can shoot a horizontal or vertical panoramic image, while Creative Control and Creative Retouch modes featuring a total of 12 filter effects give you the tools you need to enhance any scene you’re looking to take a picture of. With Time Lapse shot meanwhile, you can capture flowers coming into bloom or slow moving cloud in miniscule detail. Available in camouflage, blue, orange and red.